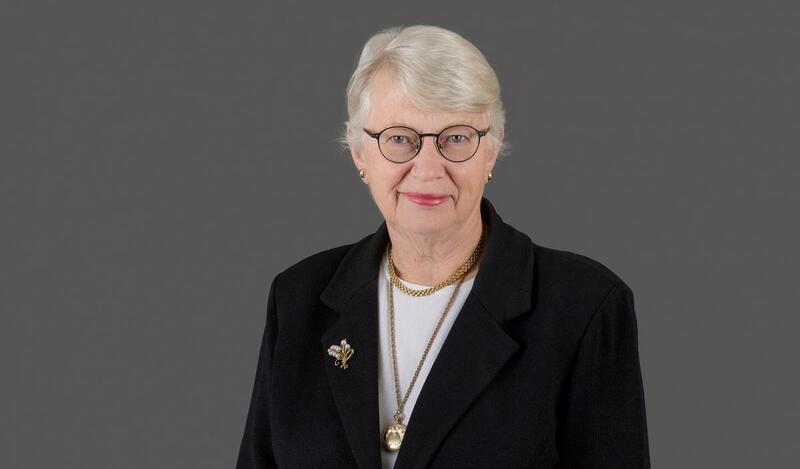 Dean Elizabeth Rindskopf Parker is nationally recognized for her scholarly and legal work in national security and terrorism, international relations, technology development and transfer, and civil rights litigation. She is Dean Emerita of the McGeorge School of Law at the University of the Pacific, where she served as dean from 2002 to 2012. During her tenure, she founded the Journal of National Security Law and Policy and in 2005 created a National Security Law and Policy Section within the Association of American Law Schools. She is known for transforming the law school into a national leader in international legal education and for expanding student service opportunities and diversity. Dean Parker's distinguished career in the public and private sectors spans 45 years. Prior to becoming dean of Pacific McGeorge, she was general counsel for the 26-campus University of Wisconsin System. She held key positions in the federal government for more than a decade, most notably as general counsel of the National Security Agency (NSA); principal deputy legal adviser at the U.S. Department of State; and general counsel of the Central Intelligence Agency (CIA). In private practice, she was counsel to the international law firms of Bryan Cave and Survey and Morse, where she advised clients on public policy and international trade issues related to encryption and advanced technology. Dean Parker has taught national security law at Case Western Reserve Law School, Cleveland State School of Law, and Pacific McGeorge School of Law. She began her legal career as a Reginald Heber Smith Fellow at the Community Legal Services Clinic at Emory University School of Law. Later, while a cooperating attorney for the NAACP Legal Defense and Education Fund, she argued successfully twice before the Supreme Court of the United States. She is a member of the Council on Foreign Relations and the American Bar Foundation. She is also a former chair, and currently lifetime counselor, of the American Bar Association's Standing Committee on Law and National Security. In 2011, U.S. Supreme Court Chief Justice John Roberts appointed Dean Parker to a three-year term on the International Judicial Relations Committee. She currently serves as chair of the Advisory Committee on Global Engagement for the Association of American Law Schools. A frequent speaker on national security topics, Dean Parker is a member of the Public Interest Declassification Board (appointed by President George W. Bush and re-appointed by President Barack Obama). She has been a member of the Security Advisory Group for three successive Directors of National Intelligence. She is a frequent participant on committees of the National Academy of Sciences and currently serves on the Committee on Ethical and Societal Implications of Advances in Rapidly Advancing and Globally Accessible Militarily Significant Technologies. Dean Parker is also a member of the board of the Civilian Research Development Fund-Global, a threat reduction organization dedicated to improving the economic application of scientific research in emerging economies. She is the recipient of numerous national honors, including the Distinguished Service Award from the CIA in1995. She received the NSA Distinguished Executive Service Award in 1989 and the NSA Exceptional Civilian Service Award in 1988. Dean Parker earned her law degree from the University of Michigan School of Law and holds a bachelor's degree in philosophy, also from the University of Michigan.